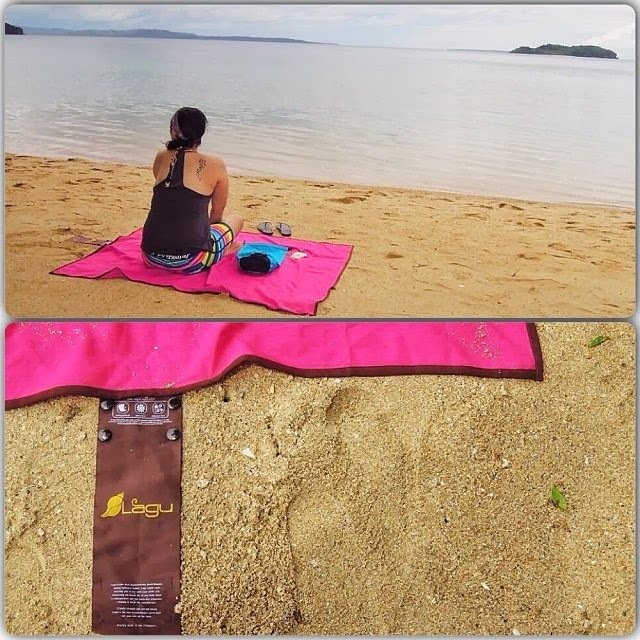 Save the Sand, Save the Beach with a LAGU beach-friendly blanket! I'm probably one of those people who doesn't fancy swimming in the beach, but just love hanging out by the shoreline. I tend to just lounge by the seashore, get that much needed tan, and have my feet burrowed underneath the sand. 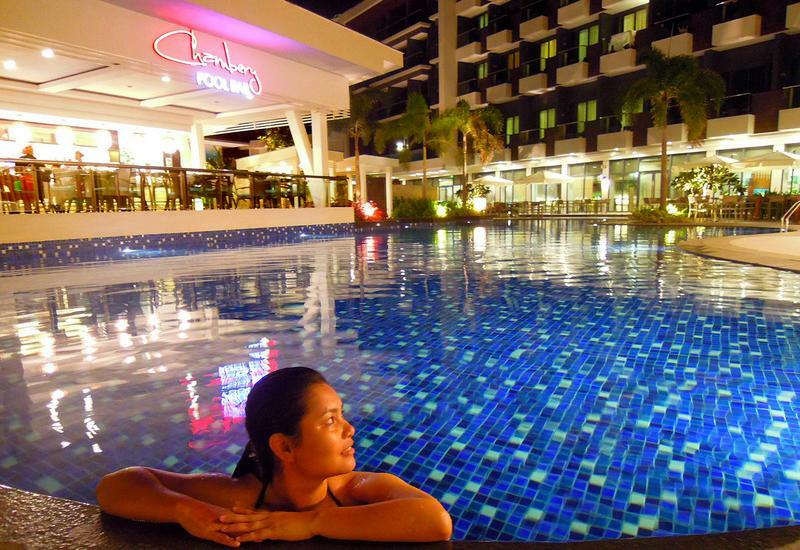 Back then I would bring a malong or a printed sarong, and would use either as a blanket. I would place my travel essentials on top, and would lay on it throughout my time at the beach. But soon after unwinding and packing up, I would catch myself dealing with all the sand that didn't come off of the fabric right after shaking it. It's always the same scenario, and always the same dilemma whenever I leave any pebbly shore. That's why I always end up bringing some sand into my stuff. But all that's changed when I started using LAGU. "Lagu is the first beach-friendly beach blanket. Unlike ordinary towels, Lagu repels sand allowing you to lay with ease while also conserving the beach. It's unique linen blend is allergen-free and has quick-dry properties, keeping it fresh for repeated use." "You have no pressing engagements. Your eyes staring straight up at cotton candy clouds, your feet pointing towards the big blue. Soft music in the distance, cold drink close by. Disconnected from the "real world", yet connected to what's real. At this very moment, lying down on the beach, you find peace. These moments however, are fleeting. Our beaches are gradually eroding. Apart from the obvious reasons such as overdevelopment and climate change, little do we know that every time we step foot on a beach, we leave with nearly 3 handfuls of its precious sand. Yes, even beach lovers like us are slowly taking away its sand. Out of our passion for this immaculate gift of nature, we have created the world's first beach-friendly beach blanket. - LAGU"
The Lagu beach blanket that I have right now is a Rosa Oscuro. I just love anything that's in a violet shade, that's why it's the perfect pick. But aside from the color, I also loved the fact that my blanket is big and spacious. The size of my Lagu is large enough to accommodate at least 2 adults sitting down (comfortably). 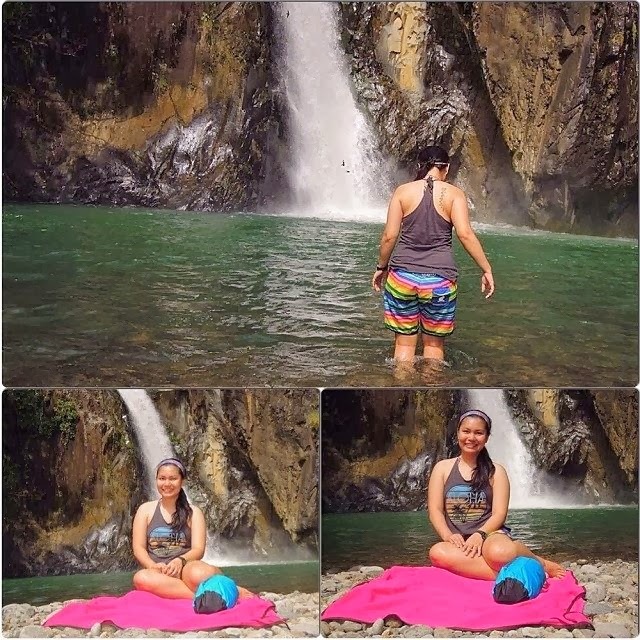 My LAGU Rosa Oscuro's 2nd stopover during my recent Eastern Visayas backpacking trip. Here's a lovely view of Dalutan Island from Agta Beach Resort, Biliran. My LAGU beach blanket is actually smooth, with a little roughness to it (but not the kind that skids your skin). I love sitting on it without having to feel any irritation from the blanket. It doesn't stick on my skin too, especially after coming out of the water or after applying a new coat of sunscreen. WHAT'S THE BLANKET LIKE WITH SAND? Learn more about LAGU by following their pages: Website / Facebook / Twitter / Instagram. Thanks for this review! Been looking for a similarly designed bag for babywearing, this just might fit the bill.